While it sounds horrible, I think those were the honest feelings for most of us. Surely I’m not the only one who felt like this after the hurricane in Puerto Rico? 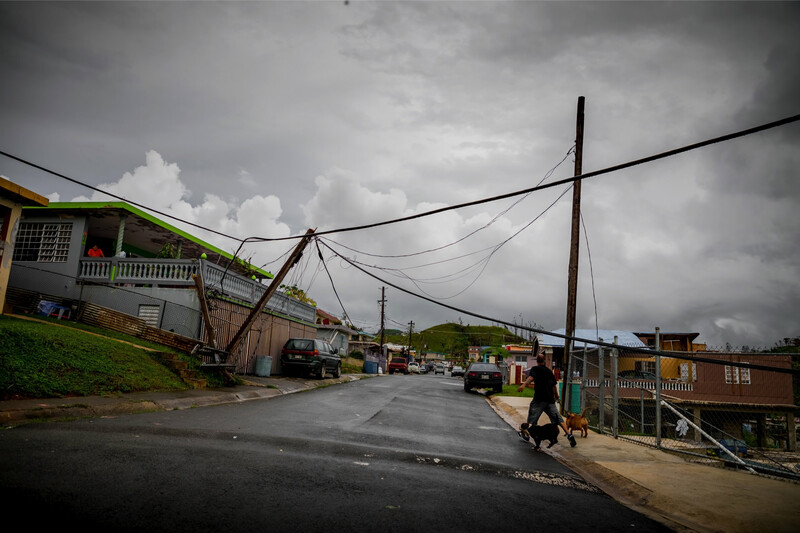 Coming on the heels of huge storms and flooding in Texas and Florida, Category 5 Hurricane Maria hit and devastated the island of Puerto Rico. Most of America already felt a storm fatigue when they heard about it in the news. It left most of us saying, “that’s horrible!” or “How sad for them,” and then we went on with our lives. THEN I ARRIVED IN PUERTO RICO. 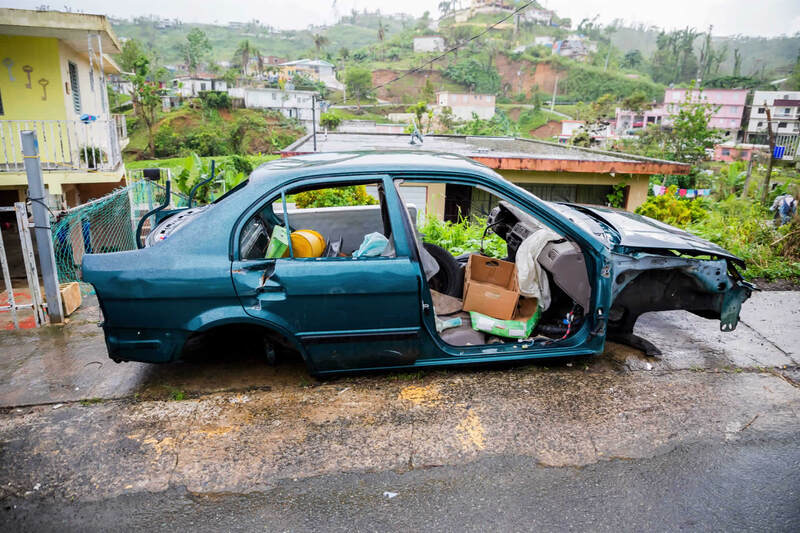 It was two months after the hurricane and many areas looked like the storm had made landfall only hours earlier. I didn’t know it until it was too late, but it was the rainy season; National Weather Service flash flood alarms rang often as we drove on roads covered by water, or washed out altogether. Humidity as thick as a blanket greeted our team from Orphan’s Promise. Fallen trees rested atop power lines and communication cables that struggled under the weight. Cables covered the roads so that the only way to get where you needed to go was to drive over them. With standing water surrounding the roads, the possibility of electrocution to those passing through was very real. Roofs had been ripped from the tops of structures and families tried, unsuccessfully, to stay dry under cheap blue tarps until they could save up enough money to build a proper roof. Some roads became rivers and an outlet for the water, while other roads (as well as houses) were literally falling off the sides of mountains as rushing waters undercut the soft ground that root structures once supported. 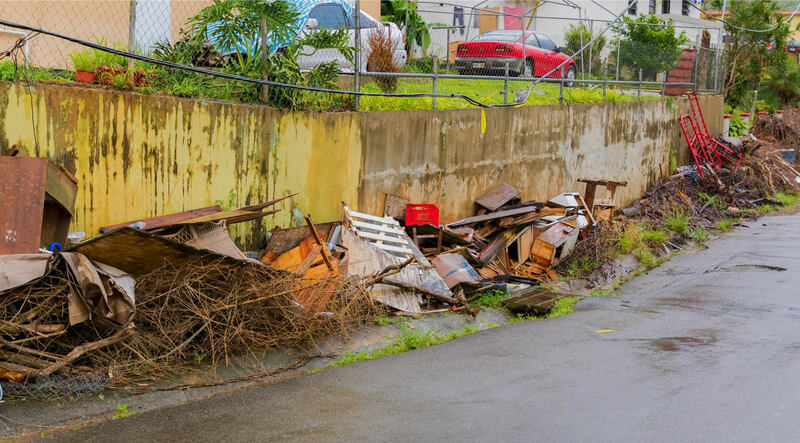 After Hurricane Maria, healthy trees were far less predominant and some areas looked post-apocalyptic or even burnt by the salt water that had been carried in from the Atlantic Ocean by the storm surge. I was told prior to my arrival: “80% of the island is without power,” and some families are forced to drink muddy storm water in order to survive. I felt like I was being told about a third-world country. But this was Puerto Rico. This was a United States territory! 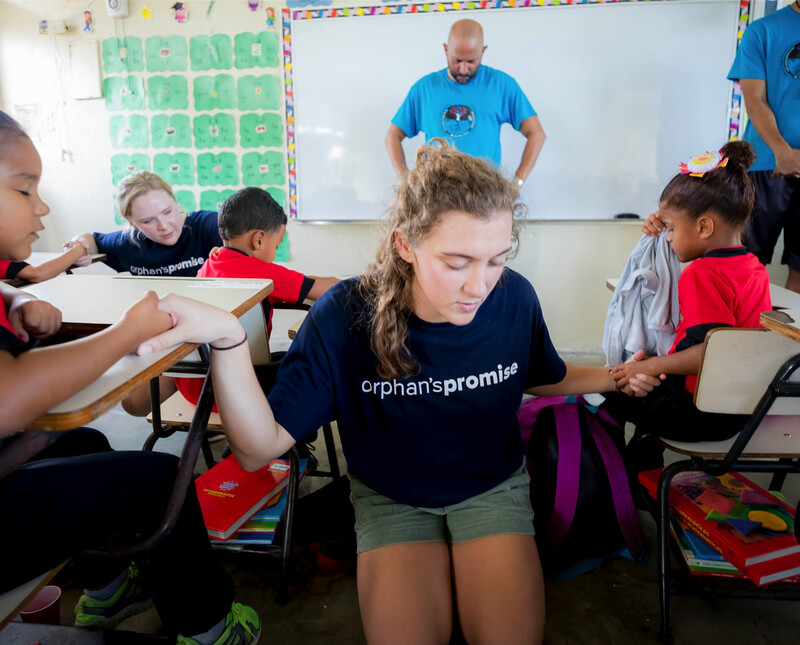 I couldn’t help my feelings turning from “Not my problem,” to “Dear God, how can we help when the problem is so large?” I had no answers, but I knew there was a huge need and Orphan’s Promise had a job to do. While there, it became very clear, what we could accomplish in a week would not be enough, but thanks to our incredible donors and partners we were able to do a tremendous amount of good. In partnership with CBN International, we were able to provide clean water to over 25,000 people through mobile water purification units that can be powered off of a car battery. 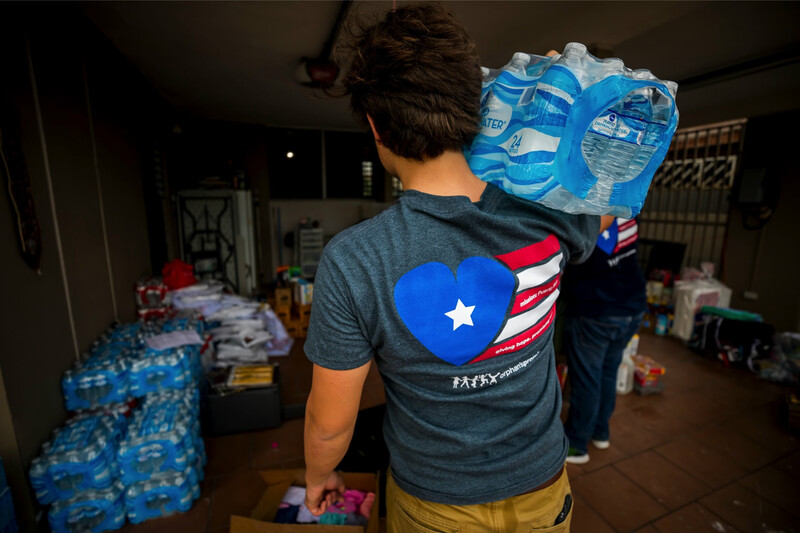 This clean water allows Puerto Ricans to no longer drink muddy and untreated river or storm water. Water-borne illnesses are devastating families, especially those with young children. 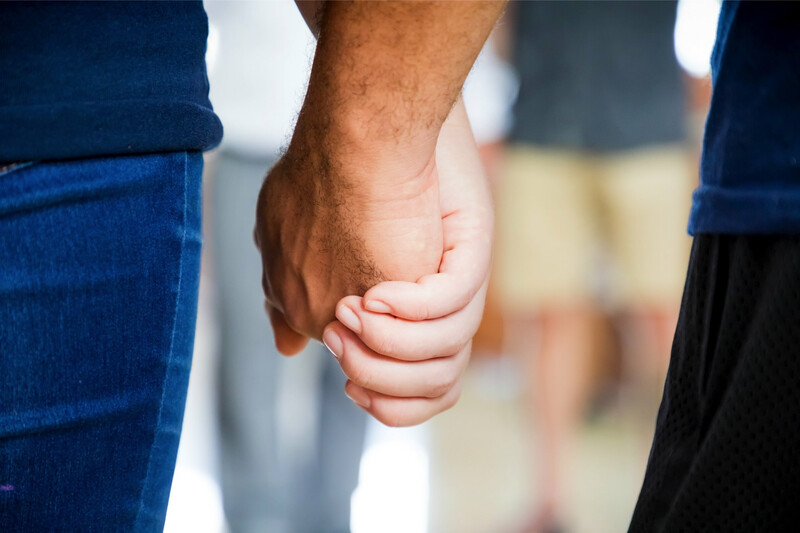 Mothers and fathers would no longer have to choose between giving their children tainted water or risking dehydration. Additionally, to combat power shortages and the darkness that comes with shorter days during the winter months, we provided over 260 solar powered lanterns and headlamps to several areas that we visited. When these storm victims received the simple gift of light, their faces beamed with brightness which rivaled the lanterns. Caregivers would now able to illuminate darkened rooms where the orphans and vulnerable children that they care for live, learn, eat and play. In other areas, we delivered food and rations. 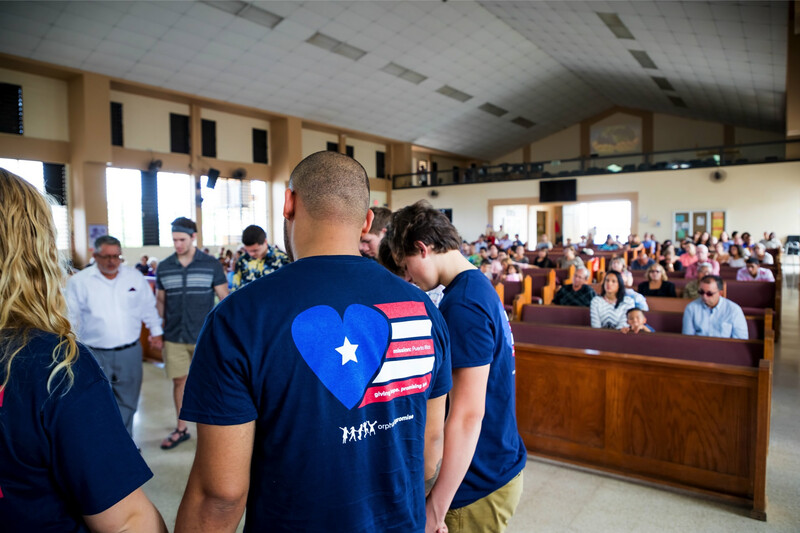 With it being Thanksgiving week, we were honored to be able to provide over 850 Thanksgiving meals to one of the hardest hit areas on the island. In some instances, we provided generators to facilities that lacked power. 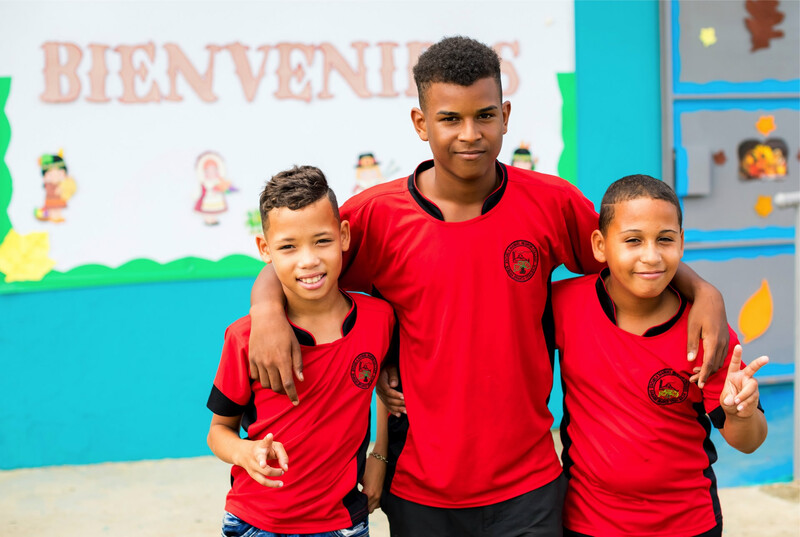 We were able to repair 8 exposed roofs, trading the cheap blue tarps for shiny new tin roofs that now ping with the sound of rain – a welcome sound that drew smiles from the children below who were now safe and warm and dry. In some places, we did the only thing we could to help: we prayed. Walking into church and worshipping alongside the residents was powerful. They called our team forward, in front of the congregation of roughly 250 local worshippers. They prayed for us and anointed us with oil. Afterward, they hugged us and their tears needed no translation. Later in the trip, we made our way to a school, where we distributed 25 backpacks to children who lost the bulk of their school supplies in the storm. We were also able to replace furniture in their kindergarten classroom. Local residents told us that flood waters reached 10-feet-high on their 12-foot-tall concrete school building. When water levels subsided, almost everything was ruined. 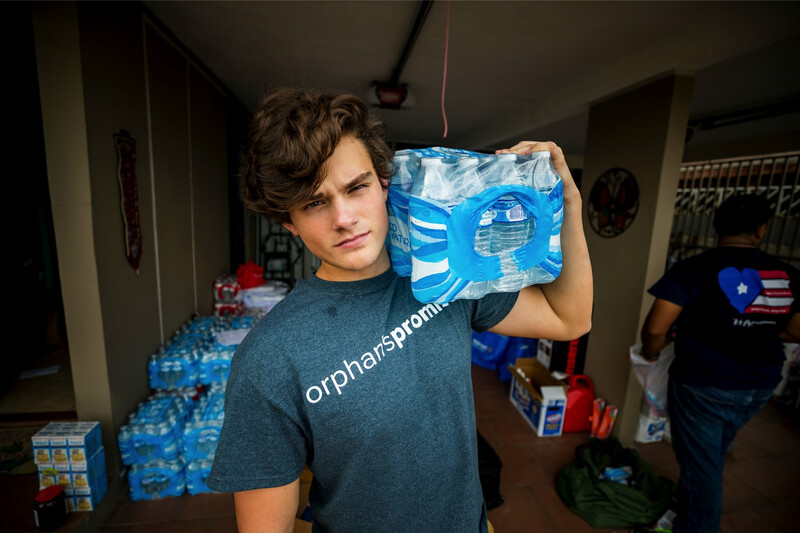 In all of this, Matthew 25:40 rang aloud in my head: “Truly I tell you, whatever you did for one of the least of these my brothers and sisters of mine, you did for Me.” What Orphan’s Promise was able to do was remarkable. However, there were so many areas where we wanted to do more, but couldn’t because the need was too large for our resources at the time. The outlook in Puerto Rico is pretty bleak. 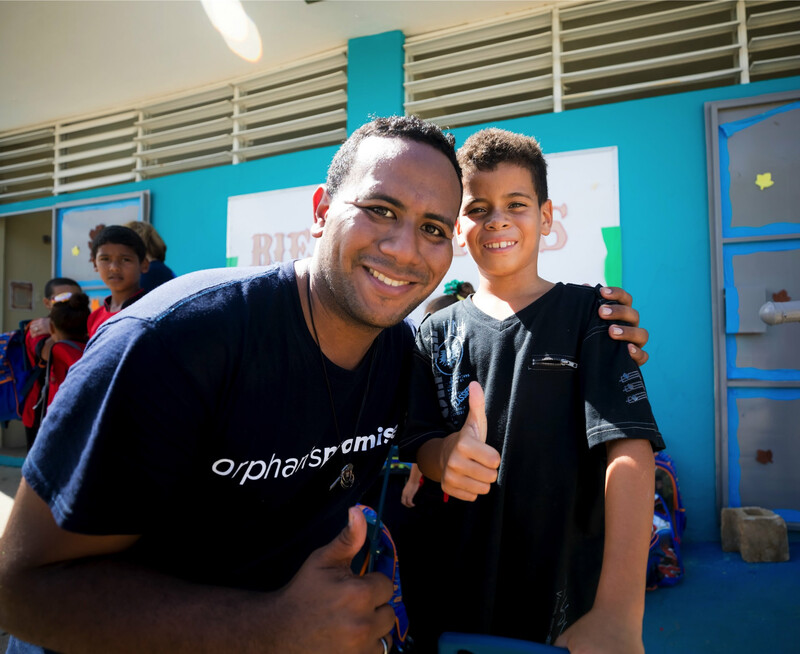 There are months, if not years, of recovery stilly ahead of the Puerto Rican people, but I want you to know that Orphan’s Promise did an absolutely incredible work during our time on the island. That said, the job is certainly not done. I heard a news report that stated the island would not have power restored for 18 months. That’s 18 months of blistering heat, and another rainy season. They need our prayers. They need our gifts. They need our hands. 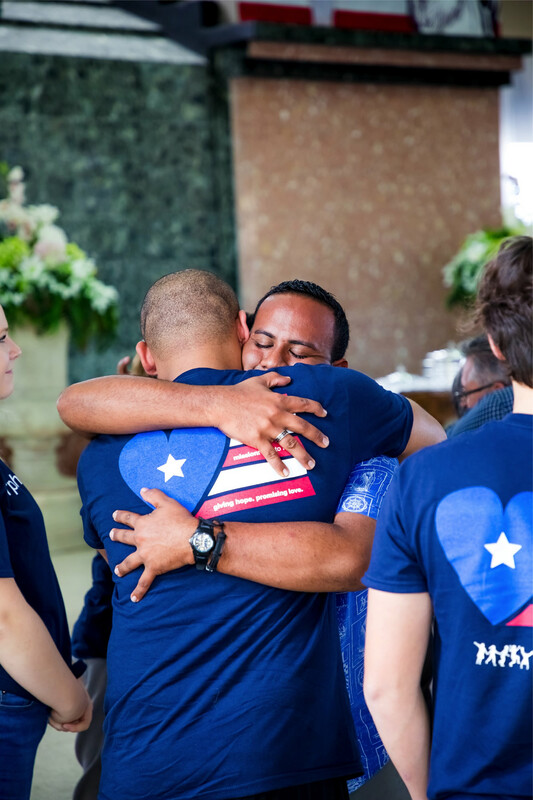 The news cycle may have ended, but we thank God for donors like you, who are giving hope and promising love to our precious neighbors in Puerto Rico.